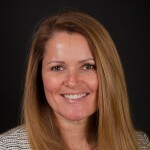 Natalie Real Biography | Connecticut Center for Advanced Technology, Inc.
Natalie Real has served as chief administrative officer since 2004. She has over 20 years of experience in public and nonprofit sector service and has an extensive background in management and project management experience. At CCAT, she heads multiple teams, including the legal department, human resources, facilities, incubator programming, and administration. She serves on the executive team addressing such issues as strategic planning and compliance. She also serves as assistant secretary to the Board of Directors. Before coming to CCAT, she held several public service positions in the fields of policy advocacy at the state level, community redevelopment at the municipal level, immigration research at the federal court level, and child protection at the state level.